A product that has strong coverage and goes a long way. 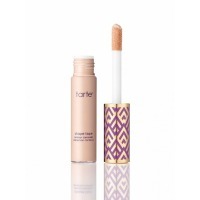 I’ll tell you everything about the popular Tarte Shape Tape Contour Concealer. Today I am going to tell you about the concealer that can be seen in almost every Instagram make-up video- Shape Tape Contour Concealer. Packaging. The product is gigantic. The tube is big with a huge applicator.